What are Instagram Top Posts? When you go to the Explore tab in the Instagram app and type in a hashtag, the “Top Posts” area is the grid of 9 posts at the top. These are posts that Instagram has selected, presumably through some kind of algorithm, to be featured. Per usual, we don’t know the EXACT formula for getting to this coveted spot, but I’ve identified some general “rules” through trial and experience. In the above image, I’m showing two examples. One for the hashtag #handlettering (which has quite a few results, 3+ million), and one using the hashtag #instagramtips (almost 50k results). The trending posts are not always from the biggest accounts. On #handlettering, the top result is from an account with 72,000 followers. An account with almost a half a million followers is in the four-spot. A “smaller” account with just 27,900 followers is trending at the six-spot. 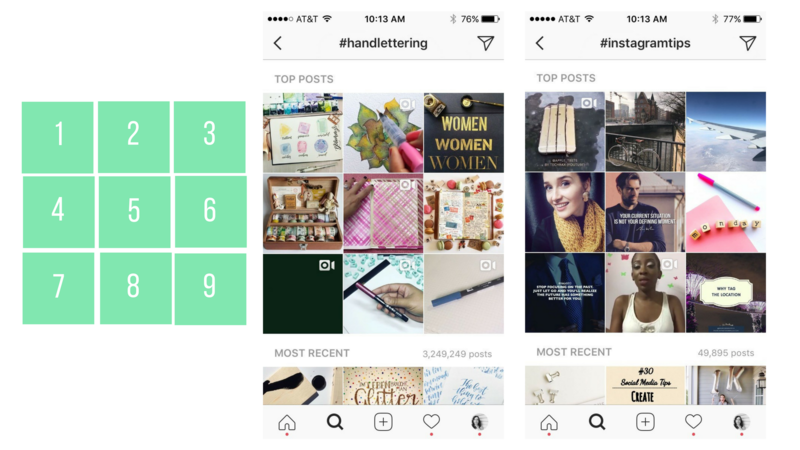 While you don’t have to have the biggest account to win the top spot, for hashtags with a higher number of results (like #handlettering), you are more likely to win a trending spot if your account is larger. While I have seen some really small accounts trend for a giant hashtag, it doesn’t happen all that often. If you are sitting there with 600 followers, I wouldn’t become obsessed with trying to trend for #handlettering. I would look for something else in that hashtag family with fewer results to try and trend for. The larger the hashtag, the more quickly the trending posts are refreshed. For a large hashtag like our #handlettering example, it’s unlikely that you would stay in a trending spot for more than 24-hours. But for smaller hashtags, like #instagramtips, you may be able to remain trending for a day or two (or more)! These observations are not just based on these two examples. They are based on my ALL observations from the time that Instagram Top Posts were rolled out, but I’ve chosen these two examples to illustrate my thoughts. First, you don’t see spammy, crappy content up here. The one thing that all of this trending content has in common is that it is high-quality and adds value to the person consuming it. Learn more about developing high quality social media content here. Tip: Bring your A-game every day and post beautiful images with valuable captions. Because you see a mix of larger and smaller accounts (even on the #handlettering example, a 27k follower account is WAY different in size than the 445k follower account), I believe that engagement is a huge success-factor. Likewise, whenever I post something that gets a lot of likes and comments, it trends 99% of the time. Tip: ASK for engagement, post things that inspire comments and likes, and post at your best time. Engagement is great, but quick engagement is even better. Trending posts generally take their position within the first 24 hours of posting, so you need it to happen fast. Tip: (Again) Post at your best time, but also use the right mix of hashtags to get some quick engagement (even if it isn’t the most genuine). If you spend any time on Instagram at all, you know that the spam game is strong right now. Like, for every genuine and thoughtful comment, you get 9 emoji-only smiley faces that mean squat. While it’s usually really annoying, it can actually be helpful if you are trying to get to the Instagram Top Posts area. The first step here is being aware of what is realistic for YOU to trend for. For me, while I HAVE trended for #socialmedia before (4.6 million results), with my current 11k followers, I’m more likely to trend for smaller, highly targeted hashtags like #socialmediamanager or #instagramtips. I’ve talked a lot in the past about picking hashtags, and how hashtag relevancy is more important than the number of results for that hashtag. That holds true here. #Love has a gazillion results, but it’s very, very generic. If you are selling shoes, it isn’t going to serve you well. The same principle applies here. It would be awesome to trend for some huge hashtag like #instagood, but who cares if your target audience isn’t looking there? You know your hashtags should be highly targeted and relevant, regardless of size. However, if you want a shot at trending, you will also want to include 3-5 “big” hashtags, that are less-targeted. For me, it’s hashtags like #entrepreneur, #business, and #marketing. They are still highly relevant to me, but they have a lot of results, and therefore a lot of folks double-tapping up a storm. I’m feeling like someone may ask, “Can I go pay for some likes to get my content to the top posts area?” And the answer is NO. You can’t. It might feel good in the short term, but this kind of practice dilutes the effectiveness of Instagram (or any social media) over the long term. You are ruining it for everyone, including yourself. So just don’t. Have you ever had one of your posts reach the Instagram Top Posts area? What would you add to these tips? Yes, I trend in the top area of some of my hashtags and have noticed all of the tips that you mentioned. 🙂 Immediate engagement does seem to play the biggest role for me. Although I never thought of using generic hashtags to bump up my immediate engagement! Thank you and I love your blog, always useful stuff! I get at least a few Top Posts every time I post a photo (I’ve been photographing obsessively since 1999, so it’s no surprise) – but when I check the same hashtag on a friend’s phone I don’t see me photo… thoughts? Yes… the “Top 9” are now personalized by user… so not everyone sees the same trending photos! Ah, that makes so much sense now! I don’t have a large account by any means, but my posts do have a tendency of out performing virtually all other submissions to certain relevant but not very popular hashtags. I almost never see my own posts in the top grid, when I check these hashtags. Now this makes sense. Instagram wouldn’t want to show me nine of my own posts, since that doesn’t drive engagement. So instead, it shows me posts from other users that it assumes I’d like. 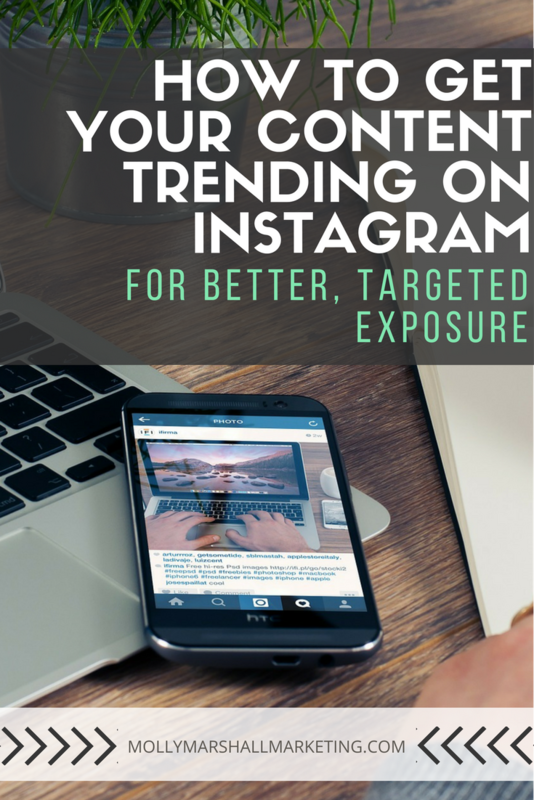 The right hashtags can really get more likes and views for your post. But remember not to overdo hashtags, 4-6 hashtags are enough. Actually, I feel that on Instagram, you can’t really “overdo” hashtags. Too many hashtags are definitely an issue on other platforms, but Instagram allows 30, and I teach people to use all 30. So far, there hasn’t shown to be negative consequences to using that many! Totally agree with you. I apply the same strategy. Using 30 doesn’t help unless your account is very small. Using 6-10 very specific hashtags is better, especially if you are posting 2 or 3 times a day. You can only be on about 10 top hashtags at a time, so using 120 hashtags a day just takes you off of the top hashtags that you got on. If you are on a really big hashtag, don’t post for a few hours so you don’t kick yourself off. It all differs on account size. The smaller your account, the more hashtags you should use. Great article, we were wondering how the top posts worked and if there was an order for the 9 positions, thank you, because you solved all our doubts. We are trending right now with the 30daysofbiblelettering hashtag that has almost 100k posts, and we are currently in the 4th position with just 2k. Other positions are 150k,20k,10k and so relevant to the lettering community. We got 64 comments a little bit over 600 views and over 200 likes. Do you know if there’s an equivalence for likes vs comments vs views? which ones weight most for engagement? We don’t know the exact algorithm used to determine who makes it to the top posts area, but we can assume it has to do with engagement and the speed with which that engagement happened! Boom! That’s awesome. Thanks for sharing! If the top 9 are personalized by user, how can I be sure I’m actually in the top 9 for anyone else? Is Instagram just adding my photos to the top 9 of some hashtags because I’m logged into my own account? Hi, thanks for a great article, for the first time I have one image trending on 5 different hashtags including #valfre and #darlingdistraction and I only have 77 followers…(I’m pretty new to the insta game). I’ve picked up 6 new followers and 70 likes my average is 50ish. I’m just wondering how comes I’m up there when all the posts are in the 100’s of likes? Pretty awesome though. Even if i see that im on the top post (which occurs frequently), if i write the same tag from a different user i dont see my photo on the top post?!!? I am confused.. what does it mean? That’s a good question – and it might have to do with the Instagram “shadowban” that everyone is talking about. I haven’t written anything on it yet, because I am still researching but stay tuned for more info. Frustrating for sure! What do you mean about hiding your hashtags? Like putting them in your comments instead of captions? Yes, I have. It was for my family’s business and the picture I posted was trending for #CadillicEscladeESVPlatinum. So this is something that I have just tried for the first time, smaller hashtags, but I noticed that I come up for some of them when I look from my account but I tried looking from another account and I wasn’t up there ? Any thoughts? Yes, Jordan – that sounds like the Instagram “shadowban.” The shadowban is where Instagram will suppress your photos from some (or all) of the hashtag feeds of the hashtags you used. Were these new hashtags that you had never used before? Did they accurately describe your photo? I’m working on an article on this topic that should go up here on the blog next week! I’m having a similar problem. I’m using low number hashtags which allow me to show among the 9 top posts when viewed from my account, or from one of my follower’s accounts, but not when viewed from a non follower’s account. The odd thing is that my post is not fully shadowbanned, as it shows in the timeline, just not in the top post section. So, what should we do to be able to get back in the top posts for non-followers? Naomi, I have not found those “shadowban testers” to be reliable at all. The best way to see if you are shadowbanned is to go search for your stuff from an account that does not follow you. Perhaps create a separate account that you can log in to just for this purpose? Or have a friend that doesn’t follow your business account check for you? Also, it seems reasonable that Instagram may be trying to customize the content people see so they are seeing the most relevant content possible – maybe the Top 9 aren’t the same for everyone under a given hashtag? Yes all of these things are necessary to get to the top post. Every time I post a picture it will go to the top for some time. It varies between 1-2 days. However recently I have noticed multiple photos of mine rotating in a top post of one specific tag I use all the time. I am trying to figure out how permanent this is because a photo of mine is always there and it’s about 2 weeks since I noticed. Every time I make a post it goes to the top and the same things happen every time . My photos are good captures with targeted audiences that I attract with multiple hashtags ( some large and some small) As soon as I post the speed is about 1-2 likes per minute which generally will put it in the top within the hour or two of posting. The amount of likes come from followers and prospective new followers but I am sure the ratio matters here as well. I am sure that Instagram can somehow tell the amount of new followers that you gain per post and this could have a factor with what determines good quality photos . In short hashtags matter, speed and the ratio matter, the amount of likes matter, and I believe the amount of new followers you can gain with that post matter too. I have a new account and is growing rapidly and I continue to do the same thing. Thank you for adding your experience and observations, Jennifer! Hi there Vlad – getting in the Top 9 isn’t ALL about the number of likes you have on a post – it’s a complex algorithm, and honestly, we don’t know what makes it up. Keep trying! I know this sounds cliche, but focus on delivering valuable content to your audience. 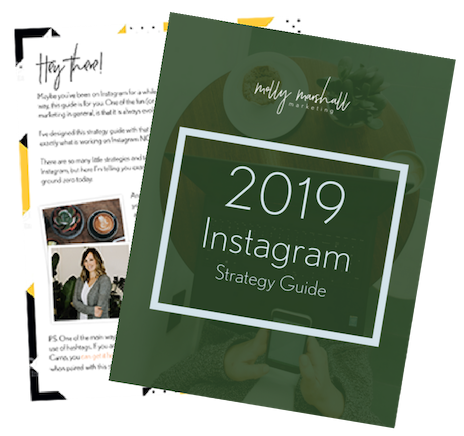 Focus on serving your people – that is what is most important to Instagram success! If you aren’t serving your audience well, trending doesn’t matter! Good luck. I am new to instagram 5days. Posting once a day. Today,s piece landed in two top post areas. I have 2 followers but it got liked immediately by 11 people in the first seconds it was up with one follow. I wonder because at least three were big in my industry. I was so pleased! Btw, where are you supposed to put the hashtags? I put mine below the caption. Is that right? That’s amazing! You can put your hashtags below the caption or in your first comment. Either place works as long as you place them right away! Hi Palash – I can absolutely review your Instagram account. Account reviews are $99 and I return them to you within a few business days. Just send me your email through my contact form and we can get started. Thanks! Hi there! I am very excited because our account @efthymis_fokas_shoes reached top post for #shopify and I only have 370 followers so it is quite amazing! We are still creating our shop in Shopifysince until now we were only working in Etsy. I think we are on the good way..next week I will be doing my first promotion on Instagram. Wish me luck! Hi Molly,I am new to Instagram for almost 3 month , I have 85 post, and 61 followers .Some of my posts get very good comments by people, and I had offer for job. Also ask print my work too. sometimes I am on the top posts. My last photo was in top post on 13 hashtag almost for a day but, they are very poor in likes, I had 17 likes on my last post. I think being in the top post is not meaning you are going to get likes as well. I can understand what is the problem . Would you please explane to me what is going on? Thanks a lot . Hi there – it’s really difficult to know exactly how Instagram determines how you get in to the Top Posts area. When you compare all of the photos that appear in the Top 9, it can look really disparate. The accounts may have widely varying numbers of followers. 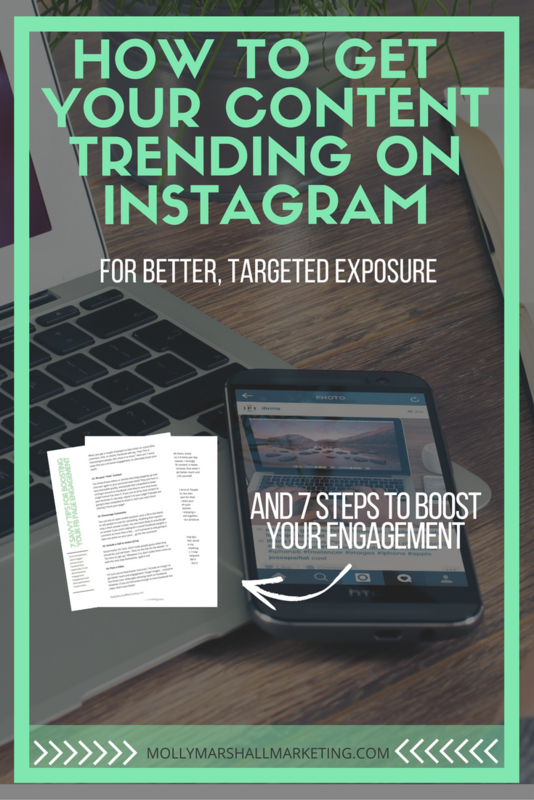 The amount of engagement on each post could be drastically different. We can drive ourselves crazy trying to crack the code 🙂 but we never will. 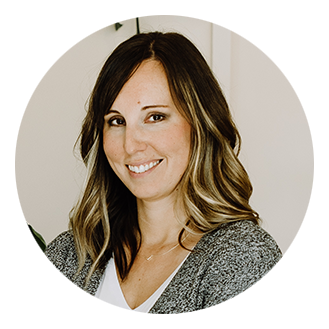 Instead, let’s focus on creating and sharing high quality content, engaging with the fans we already have and developing relationships with them, and working on our back-end sales systems… and you will drive business through Insta! Yes, the “Top 9” are personalized by user… so Friend A will see a different Top 9 for any given hashtag than Friend B will see. Make sense? You can also open an incognito/private browser window and look at the Top Posts page from that window. This way you are getting the non-personalized version of the algorithm. This post was really helpful! Also how long do posts stay in top posts – does number of likes have a role to play in duration? It really varies as to how long you will stay in the top posts! Usually it is around 24 hours. I’m just here because i’m really confused! i used to get into the top posts a lot, but now i see posts with around 70 likes and no comments in the top posts, yet my post with over 1000 likes doesn’t show up in any of the top posts for hashtags. it’s baffling my mind! Surpisingly, today two of my pics made it into two slots of the top 10 for #antiquebooks, and I’ve only got 186 followers (my subject matter is fairly niche). Hi what do I do when my post is selected by Instagram as a top post? I posted a video yesterday at an NBA Game (Wizards vs Grizzlies) with no hashtags but I put the location (Wizards vs Grizzlies). Today when I looked at my views I had 10,000 views of the video. I then looked at the Top post for Wizards vs Grizzlies and saw that I was number 1. I didn’t engage, heck I only had 2 comments so it was nothing to engage with. I only have 2,000 followers. Now the official Wizards IG page has 800K followers and they had 3 of the top 9 posts. Still can’t figure out how I made number 1. Must have been the content as I did have a good view of just behind the Wizards bench. But I normally only get about 100-200 views. I wish I could figure out how I got that Top post. Congrats! That is so interesting. I think we tend to overlook the fact that there are many ways for Instagram to figure out what your content is about… LIKE the location and even the text of your caption. That’s awesome! Why is Instagram changed top posts? Now all old posts and mine who usually made it there dosent. It is very strange. Did they change something? They are always changing things! They’ve recently released the ability to follow hashtags in your own feed, so it’s possible the “Top 9” could be going away soonish… or not. Maybe it’s just algorithm changes. It’s difficult to tell. I’m a landscape painter and have 24k followers. Until the last few months, I was nearly always in the top posts of my hashtags (#pleinair #pleinairpainting #impressionism etc), with average likes around 1,600 per post. Now I don’t get a look in on any hashtag top posts – not even the small ones. My followers growth has also slowed down as a result. I post one item every two days. Like others, my posts appear in the time feed of the hashtag, but that’s as far as they get. My latest post for example has 828 likes in five hours – and not in any of the top posts. Regards. Hi Beth, I recommend that you check out my shadowbanning article. Just because you don’t see yourself in the top 9 doesn’t mean you aren’t appearing in the top 9 for ANYONE, but you still might want to check it out. Great article, thanks for the information! Do you know a tool that would show me which of my hashtags reached top 9, instead of having to look it out one by one? I am trying to figure out how I have managed to get top post on the Warby Parker hashtag for 4 days now. Don’t get me wrong, I love my very small town “big” interaction with social media. I just don’t work hard enough (or have time) to really make it my instagram as amazing and popular as others. Seriously, I have 357 followers, 34 likes and 3 comments on my top post. I’m kinda giddy but feel like a fluke next to someone who has 81.9k followers! Do you have any idea why when someone regrams my photo it’s more likely to go to the top 9? I have just over 5k followers, did a post yesterday that is now at a little over 500 likes. Now a biz regramed my pic and the regram got in the top 8 in a hashtag with 270k the biz that regramed has around 2k followers and the regramed pic had around 60 likes. Does this make sense? Why would the regram get a spot but not my original pic? I’ve checked from a non following account and I am not shadowbanned either, my posts are all there in the recent list. This is not the first time this has happened with a regram either. Thanks!! I noticed that on a hashtag, we always see on the top 9 a few of the accounts we are already following (it can vary from 3 to 6) and have an high engagement on that specific hashtag and a few others that are related to our interest but we are not following. I know you wrote this a year ago but I have trouble and questions about being on the top posts. I only have little followers so I target small hashtags with 10,000 posts more less and see that the top posts are still from people that have way less followers than I do and way less engagement. (They have even less engagement in their 24hours than an 1 hour of mine) This makes me so confused. I have 3 user accounts and none of them follow each other. Each user’s top post for the same hashtags is different. My wife’s account shows her a bunch of my work in her top posts under the same hashtags. I believe because she actively likes my posts. This suggests Instagram’s algorithm is now catering top posts to for users. It’s been quite frustrating trying to keep up with the changes they are constantly making. Not sure what the purpose of top posts are now. thanks for the article advice. we re baffled as to what’s next ??? what do we do now ??? This is a really interesting article and after seeing the example hashtags above and the break down I had to leave a comment. OK, so one hashtag I use on all my posts because it relates specifically to what I do is the name of my city and my product eg #sheffieldcakes. There is an account that currently has all top 9 posts and has been that way for a few days – yup just one account is in all top 9 positions. Some of these top 9 have been posted months ago, some weeks so they’re not all recent like in your breakdown example. Some have received fewer likes than the recent post I made AND the actual account has fewer followers than I do too. The only difference I saw is that “some” of these top 9 did have more engagement eg comments (not necessarily likes though) than some of my own. So maybe its engagement by way of comments rather than the number of likes or how many followers you have that matters? Hi Lalita – if you never see your posts in “most recent,” yes, I would be concerned. Try checking from a few other accounts to make double sure that you aren’t appearing at all. If you aren’t, please contact me through my contact form and I’ll take a look. Thanks! You can also try checking the Top Posts page using a private/incognito browser window. Guys, I need some help. My engagement is great. I get a 100 likes in the first hour of posting and comments too. But these days none of my posts are being shown in the top post. Even if I use my own smaller hashtag, it doesn’t show my posts in the top ones. Help me out! Hi Molly, what do you think about third party tools likes Social Bakers is it powerful to analyze these hashtag algorithm? Hi there – I know you left this comment a long time ago and I apologize for the extremely delayed response… but I think Social Bakers is great at what they do! They are top notch folks! Hi Molly Marshall, Thank you for your post. Your post is top class. Hi, Molly Marshall While Reading Your Article, I just top Myself at the Section, Where You said that “Post Time”, Is it really matters? Well, I’m not working or active too much on Instagram But I was Using Facebook for Sharing My Posts etc. Then, I Found that the Timing is More Important. I mean I always update or post on facebook page wall after 7 PM to 9-10 PM as Indian Standard Time. And I found that my Post Reached is more than a Regular Facebook Page Wall Update. Also, If You have write something that your user spending time on your Instagram post’s also Engaged with it and Like and Comment. Then there are the more probabilities that Your Post will goes in trend. And Yes, You’re It doesn’t matter i.e. when your Instagram Page Created or how many followers you have. It just about Content, if it is Good, Likable, and Most Commented by the User. There are more chances to Trend. Well Thanks. I think, I Should Again Start Posting with My Pics on Instagram. Thanku Molly Marshall..
Hi Molly, I found your post a while ago and I started using the hashtag strategy you mentioned. I found it so effective that I created a tool to make it easier to find hashtags in the range that I want. I’m planning on adding many other features, if I can get people’s feedback on what they want added. Would you (or anyone else reading this) be interested in using the tool for a while and then completing a 5-minute survey when ready? There is a reward at the end of the survey 😉 The tool can be found here: https://goo.gl/uXx3cw and the survey is at the bottom of the page. Thanks and I look forward to getting some feedback! Interesting, Maira! Thanks for sharing.